The U.S. Postal Service changed shipping rates on May 31, 2015. Many Etsy sellers came to rely on my shipping calculator for 2014, so I’ve once again taken the near-indecipherable USPS rate charts and turned them into an easy to use tool for updating your shipping profiles and listings. 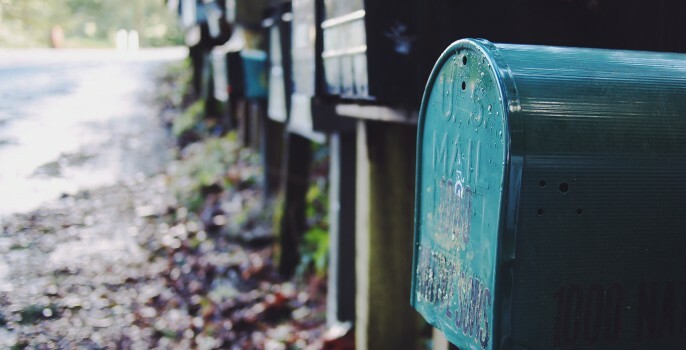 Notable for 2015 is Canada switching to zone-based pricing for Priority Mail International, with 7 zones rather than a single rate for the whole country. Priority Mail International (Canada) is now a separate option in the shipping types. Take a look at my domestic shipping article if you need a crash course in weighing and packaging. The USPS updated shipping rates on January 17th, 2016. I’ve posted a new shipping calculator with the updated rates; the rates shown below are no longer valid. Disclaimer: This tool is intended to help Etsy sellers, but is unlikely to cover the needs of every shop and business owner. Please use the calculator as a tool in your tool box and not the sole source for your pricing decision. Shipping is complex and we hope to ease the pain a bit. Please keep in mind that extra services, insurance, etc. are not taken into account with this calculator. Will there be a calculator for the 2016 rates? Yes, the 2016 shipping calculator will be available soon! Looking forward to the calculator, but not the rates. Oh Brittany, will you be doing this for the new 2016 postal rates? WONDERFUL – thank you so very much – it’s truly a lifesaver for me!! Thanks very much for this updated shipping calculator. Every time I attempt to use the USPS website I feel like I’m nearing The Cliffs of Insanity! Most of my Etsy items are jewelry, and I use a small bubble mailing envelope (6×9) Maybe a silly question, but is there a way to find out the costs for that? It is usually just over $2.00 to mail one. I’d like to offer international mailings, but cannot imagine having to go through and weigh and measure everything! Sue, packages that aren’t USPS flat rate are always charged by weight. It may be that most of your items weigh about the same, which is why the cost seems consistent. You could weigh a few items with the packing material and come up with an upper bound for weight that you’re comfortable with, and use that for calculating shipping. I find that most of my items fit into a few weight categories, so I’ve created shipping profiles on Etsy with appropriate shipping costs for each category. That is so nice to hear, Kyria. Thanks so much! Thank you!! From me, on the ‘otherside’ of the ocean! 🙂 I’ve just proposed your tool to a couple of teams that I’m in, because I’m seeing so many shops still not offering Intl. shipping. I like to participate in BNR’s but have a hard time when shops don’t ship out of the US. Super thankful you’ve made it easier for everyone to calculate costs, and find the more affordable ones too! Btw, your TreasuryBox is a Fabulous thing as well! Thank you for everything you do here! Thanks for the kind words, Martha – it’s so nice to hear that! Thank you so much. It is very important. I hope you will come up with oz one day. It is really great. Thank you so much for this. I was hesitating listing things online because I have to ship on my own instead of through the websites and I didn’t have any idea how much to add onto their prices for shipping. Onyi, if by shipping on your own you mean shipping using USPS retail prices paid at the Post Office, you would be better off using the Postage Price Calculator from the USPS site. This calculator’s rates are based on commercial based prices offered by Etsy, PayPal and others. Thanks, Erica – I really appreciate hearing this! THANK YOU SO MUCH for putting this together! You’re the best!!! You are so welcome, Nicole! Thanks so much! This made my life a lot easier! Making things a bit easier for sellers is my goal – I’m glad this has been helpful. Thank you so much for making this chart. You’ve just saved me at least an hour of what would have been mind numbing calculating. Cheers! Karin, hopefully you can get out and enjoy your weekend now. Brittany, thank you! There is lots of information on the web but nothing to compare to your information, which is clear, concise and written for a seller to understand. I have used your info since my shops began and will continue to do so, again thank you! Thanks for the kind words, Debora! Thank you so much! You provide such a wonderful resource for my etsy shop! Seriously, thank you so much for doing this! Really kind and generous! So glad it is getting used! Thank you for putting this tool together! It’s very helpful. You’re welcome! Glad it is of help. That is so nice to hear – thanks! How do you know the zones? Marsha, zones differ depending on where you’re shipping from, so unfortunately there’s not a simple map of zones. The USPS has a zone chart for U.S. shipping that will give you a zone for a given origin and destination zip code. For the new Canada zones, Pitney Bowes has a similar US-Canada zone chart that will give you a zone for a zip/postal code combination. Hope that helps! It would be helpful to put the zone map link at the top in the post so that your readers can easily decipher this method you’ve devised. Some people are new and don’t know how this work. Thanks for the help. Thanks Steve, great suggestion! I added the zone map link after the rates for any shipping method that involves zones.